Various fashion weeks have been going on during this month... and Birmingham had their piece of the action last weekend. Style Birmingham hit the Bullring, the Town Hall, the Pavilions and the Mailbox to offer us a mega-packed weekend full of clothing, accessories and beautiful people. One of which was George Lamb (if you follow me on Twitter, you may have noticed I mentioned him more than a couple of times...) who presented the Town Hall Catwalk Show on Saturday and Sunday. I made the most of Style Birmingham on the Sunday, which was quite a bad decision because shopping hours are tighter, meaning less time to get round everywhere! Unfortunately, I did miss the goings-on in the Pavilions but managed to enjoy the rest. I won't go into full detail of each show now as I'll publish separate posts during the week! After travelling to Birmingham in the morning, I took my front row seat in the spacious ground floor area of the Bullring (nearby New Look and Debenhams if you know the layout) to watch The Show: Redefinition. This was a 30 minute show with a difference - featuring various outfits with the added effect of holographic technology. And then of course, I witnessed the main Catwalk Show in the Town Hall, where we were joined by George Lamb, Bradley Taylor (celebrity stylist) and a variety of beautiful outfits! Here are a couple of photos for you to get the idea (as I said earlier, I'll feature photo-heavy posts of the shows later in the week)! Since I had to flash my press pass to get in, the woman who was seating everyone gave me a free tote bag full of information and goodies to enjoy. This included a box of salted caramel chocolates from Hotel Chocolat, an oversized ring from Claires and a perfume sample of The Body Shop's White Musk. I did notice that I got a few looks off the girls sat opposite me, wondering why I had a bag and they didn't, so I didn't show it too much. Didn't want to make a fuss! However, the two shows after mine had gifts for their audiences, and handed out fragrance-based bags to every single person (not just for press). I was so intrigued to what were in the bags (because the first show's audience didn't get any) so I asked what was in them. 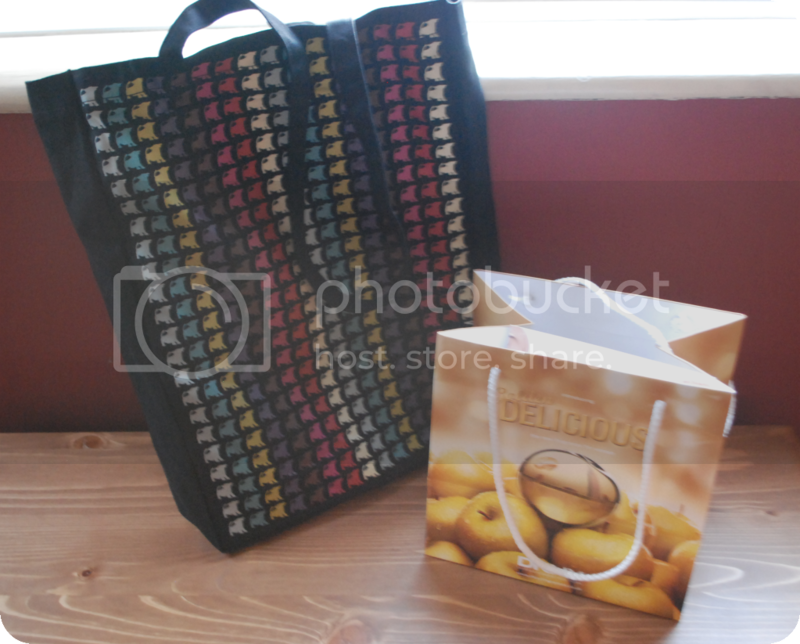 The same woman from earlier then gave me a bag (which I am very grateful for - felt a bit rude though but oh well!) that was filled with a few perfume samples (a mix of women's and men's). I haven't tried any yet so I shall let you know when I do! 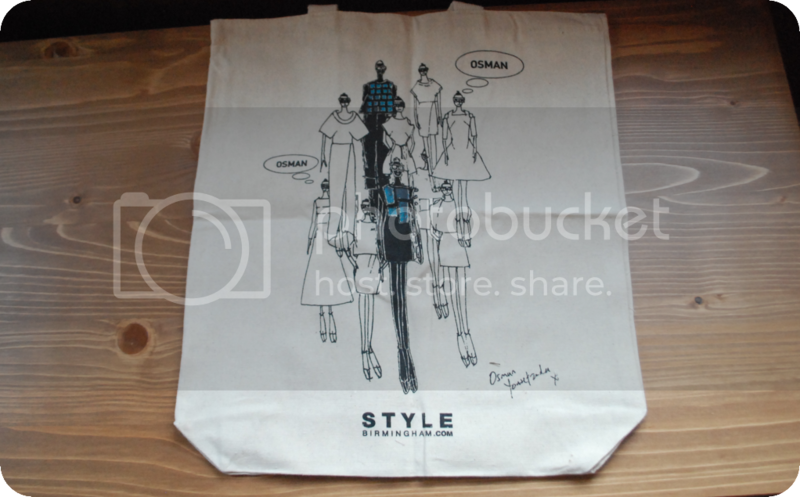 Everyone with a ticket also got a free Style Birmingham shopping bag, designed by Osman Yousefzada, which I will definitely keep for future use! It's different but lovely! Sorry for the bad quality - the lighting was terrible & was too tired (and unaware...) to fix it! 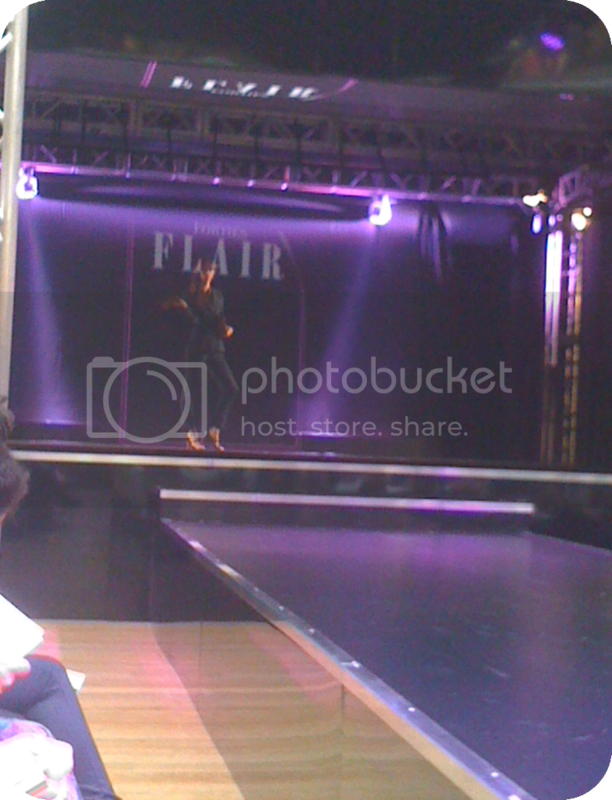 During The Show: Redefinition, I noticed how the models had their make-up done by The Body Shop. 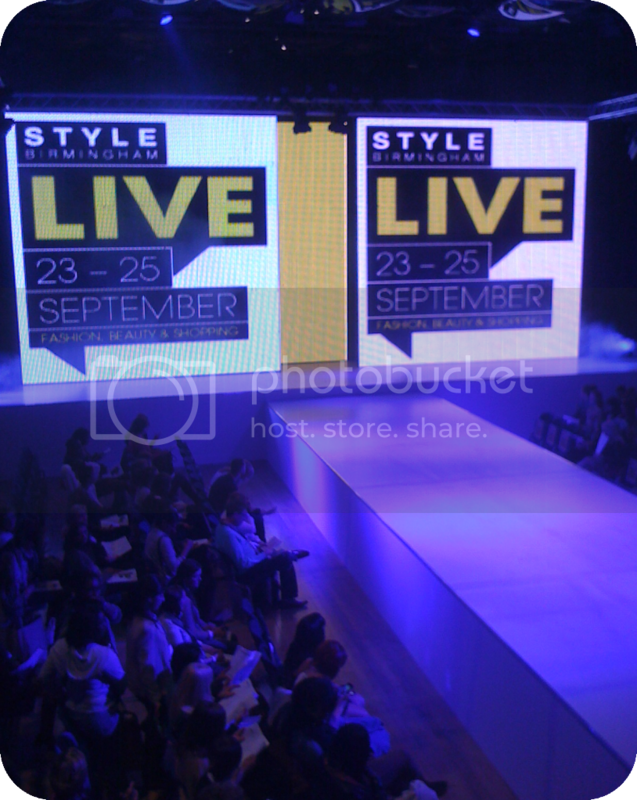 Style Birmingham offered many in-store treats for ticket holders, including a free makeover at The Body Shop. I've never experience their make-up range but I've heard great things. I also thought the models looked beautiful, so wanted to embrace this treat and get my make-up done. I must admit though, my first initial thought was that 'as long as I get some mascara, I'll be happy' because I stupidly forgot to apply any! I decided to get my eyes and lips done - dramatic and colourful! 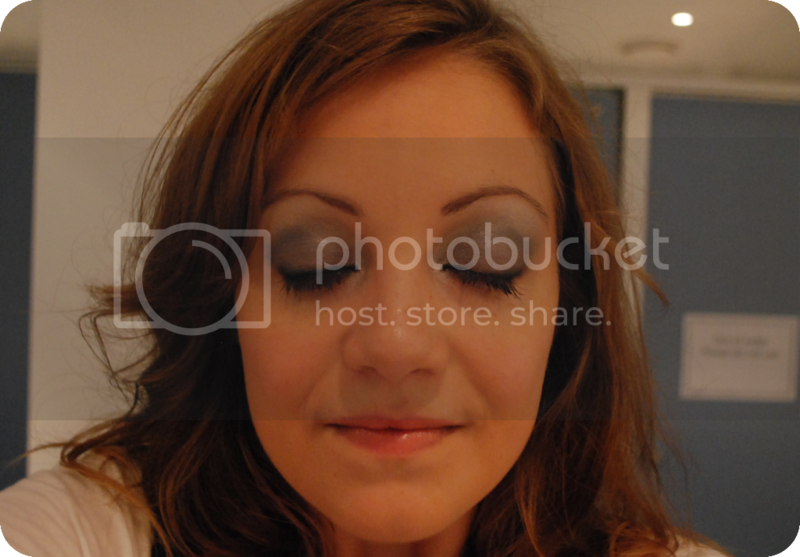 Amelia, the make-up artist, chose blue and silver shades to accentuate my eyes, black eyeliner (which was smudged so it was less prominent) along with a subtle pink lipgloss. I was very surprised at how pigmented the shimmer cube shadows were. I definitely got a few looks when I was strolling through the Bullring afterwards - whether it was in a good way or a bad way, I have no idea! This lasted the entire day, yet was very easy to remove. The money puts me off (£16!) but then again, you get 4 shades in a palette, so you can mix and match, along with learning how to create a variety of looks using them. I also loved how the lip gloss felt. It stayed on for ages and didn't dry out. My lips were very dry during the day, but this helped make them feel more moisturised. I forgot how much I love lip gloss until then - might go back to being a lip gloss girl! 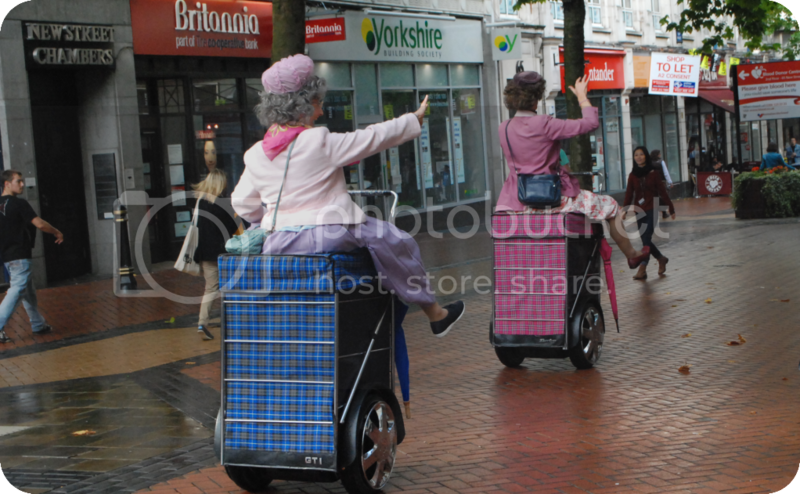 And last but by no means least, I met two lovely 'ladies' after the catwalk show - driving around on shopping trollies and giving it what they got to some music, such as Riverside (Let's Go). I have a video and a few photos dedicated to 'Granny Turismo' (yes, that really is their name), which I will also leave for later. Keep you in suspense ;) It's worth the wait I promise - they were hilarrrrious! Personally, I think they deserve their own mention, even if it isn't fashion related! Even the photo doesn't give much away! 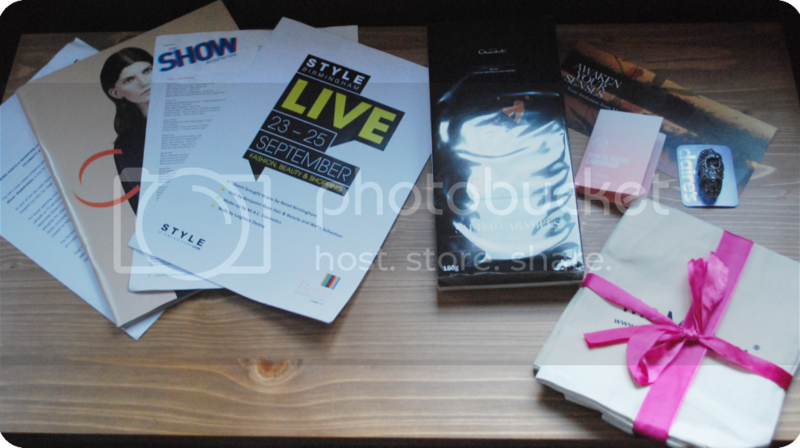 Did you go to Style Birmingham? Or any other fashion event in your city? How important is it for other places in the UK to hold their own fashion and beauty events? Exactly, It is a fabulous nice and graseful website. So, I like it very surely. Thank you very much for this website. If you want more informastion about skin care birmingham to visit skin care birmingham Associated Dermatologists continuously strives to give our patients the best possible medical care. We specialize in medical, surgical, and cosmetic dermatology with a focus on skin cancer treatment and prevention. When you come and visit us at our new location at 1401 Edwards Lake Rd., you will be surrounded by a staff that cares about you. You can make an appointment by calling us at 205-853-3960.